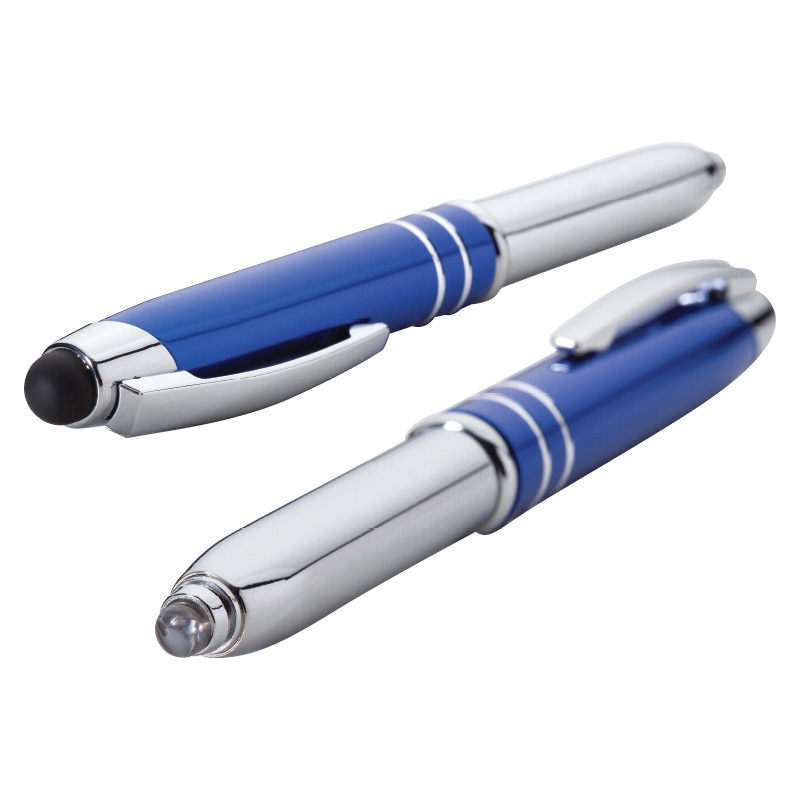 This is an aluminum ballpoint pen with LED light and stylus, completely customizable with your company logo or message. The pens come standard with black ink, an are intended to be a great and classy corporate gift. 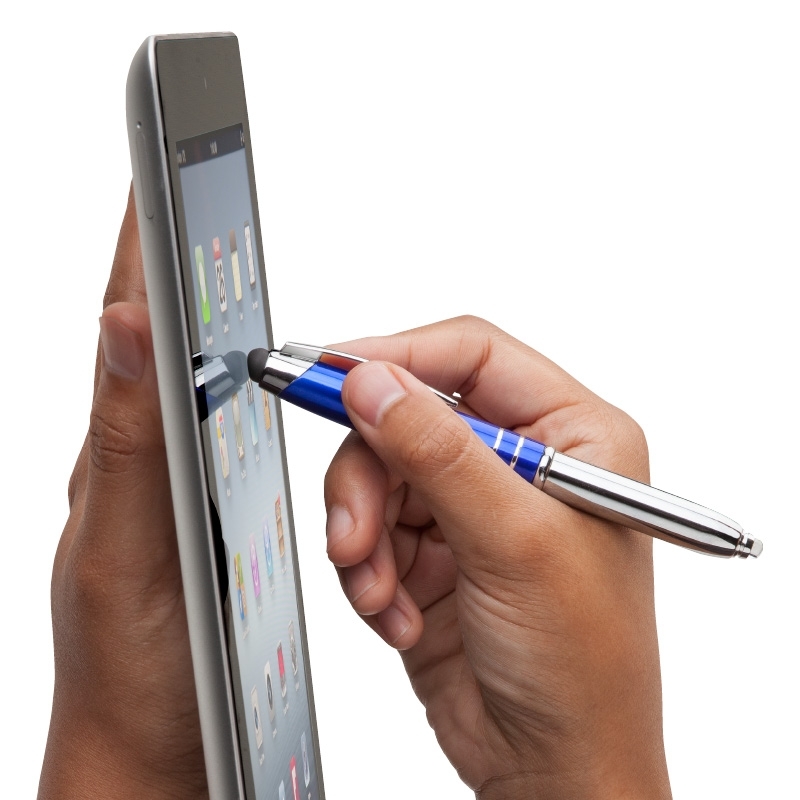 The stylus is designed for safe use with just about every modern touch screen device imaginable. Check out the awesome pictures and then scroll down to order. Remember to send your art or whatever you would like engraved on the caps to sales@adspecialtyproducts.com, or email/call us for art assistance. 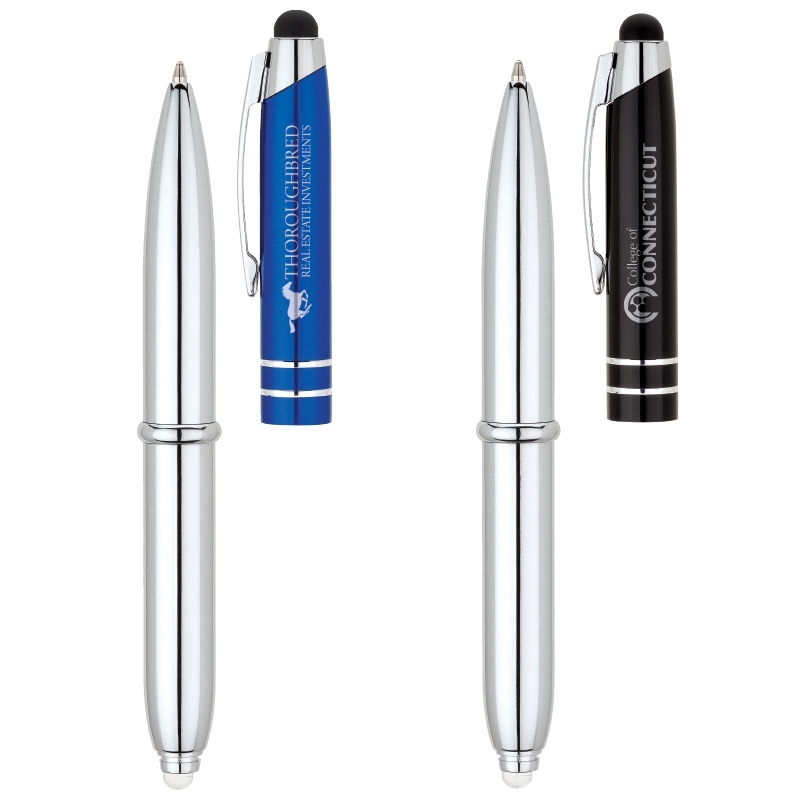 Promotional pens are a phenomenal gift, and this is a super stylish item to give to clients with your logo. Please all 10 business days production time from proof approval (we proof everything by email at no cost to you) as this is a custom item.